Welcome home! 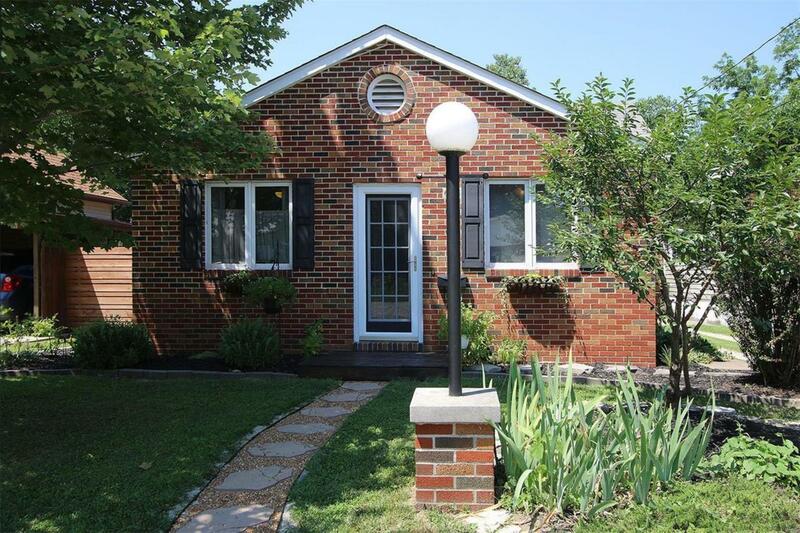 3 bedroom, brick Ranch w/updates inside & outdoors! Offering a spacious, freshly painted 1,241 sq ft main level space, enjoy original & bamboo wood flooring in Living Room, Dining Room & 2 of 3 Bedrooms. Master Bedroom includes the luxury of 2 closets. Second bedroom, which is currently used as a study & office also offers 2 closets. Entertain in the Dining Room, which includes a buffet & is open to the kitchen area for large gatherings. Updated Bath includes a large vanity & custom black & white tile in a heritage pattern. Outdoors find a covered outdoor grill area, concrete patio & a custom cedar fence surrounding back & side yard. Raised garden beds are full of vegetables & flowers, plus blueberry bushes & cherry tree. 208 ft length lot offers privacy of woods & creek. Park in detached 2 car garage w/garage door opener. Convenient to downtown shopping, restaurants, parks & library. New architectural 25 yr roof shingles installed on house & garage Sept 2018.